When used wisely, credit can establish your credit rating so you can purchase the items you need in life, like a house or car. Therefore, it is good to understand the differences between the various kinds of credit and what to look for in a credit card. By doing so, you will learn how to more prudently spend your money and obtain the type of credit standing that will make your financial portfolio attractive to future lenders. Visa and MasterCard are major types of credit cards of course. Typically, depending on your credit score and income, your credit limit can be between $500 to as much as $5,000 or more. The minimum payment is usually about $10.00 monthly for a credit limit of $500 and you can make full payment at any time. Store credit cards, on the other hand, allow you to charge items at various retailers, permitting you to make payments monthly on said purchases. However, they’re not entirely necessary as you can charge many retail items you buy on major credit cards. Charge cards, such as American Express, stipulate that you pay the entire balance each month and do not impose credit limits on borrowers. Still, if you do not make the monthly payment, you can be penalized by having the use of your card restricted. Also, when choosing credit cards, besides being aware of the basic types, it is good to be apprised of the fees assessed for the cards to which you are applying. Some cards require the cardholder pay an annual fee for use of the card like American Express. In addition, card companies charge a variety of interest rates so be careful to select those cards with lower interest charges if you want to save money. Also, look for other fees that are sometimes charged to the borrower, such as any charges for processing the card, application fees, late-payment penalties, balance transfer charges, fees assessed for cash advances, and fees applied for overstepping your credit line. Typically, the grace period for a credit card is 25 days, which covers the span of time from the billing date to the due date. Normally, if you pay off your balance before the due date or before the grace period ends, you won’t be charged additional interest. However, be forewarned, as some cards will assess you interest from the date of purchase so, in effect, you do not really have a grace period as you are charged interest even if you pay off what you owe. As a result, credit can be a good thing or a bad thing. It is up to you. 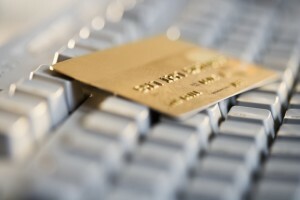 Check out the fees on the credit cards you are considering before you make a commitment. It can save you a lot of money in the long run. Get rid of any cards with excessive fees and look for no-fee credit cards with low interest charges. Be discriminating in your selection of credit so you can realize the benefits and privileges that credit provides. Or, you can go the super smart route and just not use credit cards at all. If you want to go a different route, you can choose a secured credit card. A secured card requires a cash deposit that acts as collateral for your card and becomes the credit line for that account. For example, if you put $500 in an account with that credit card company, you can charge up to $500. You may be able to add to the deposit to add more credit, or sometimes a bank will reward you for good payment and increase your credit line without requesting additional deposits. Secured credit cards are a great way to build credit if you do not have a solid credit score or are building a new credit report with the credit bureaus. One such prepaid credit card is the Vision Prepaid Visa Card which has no credit checks, a quick approval, and allows you to shop online, pay bills, use ATMs around the world. Very well written, I wish I knew it just before I had my first card, now I have four and when I calculate annual fees I pay for each…it’s just too much, I can’t even have it cut, I was told it would affect my credit standing despite that fact that I don’t owe anything.